While Japanese people are eagerly awaiting the release of the DX version expected before the end of the year, US players can finally play Wangan Midnight Maximum Tune 5! Released 20 months ago (more than one year and a half!) 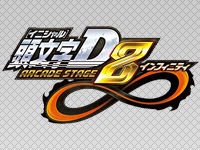 in Japan, it is one of the two references in arcade racing games (the other being Initial D Arcade Stage 8 Infinity). The big difference of these two titles when compared with most other arcade racing games is that they offer the players the ability to improve their car and save their progress on a save game card. Add to that regular updates, online leaderboards and tournaments organized frequently and you'll quickly understand why communities of pilots form around these games. Wangan Midnight Maximum Tune 5 location tests were discovered at Camelot Golfland in Anaheim, California and at Dave & Buster's in Denver, Colorado (by almightytora and Sam Porcaro respectively). The offer consists of 4 linked-up arcade cabinets and a terminal to customize your car and check the rankings without occupying the cabinets unnecessarily. This is the latest English version available that includes Extreme VS mode, the Fukuoka Urban Expressway course and the Subaru BRZ and Toyota 86 cars. Despite the fact that it's the international version, the speed shifter is on the left as on the Japanese version. The game is connected to the internet but only the ghosts of American players appear on the network. The other limitation is that the Banapassport card can currently accommodate 5 cars only instead of the usual 100. The initial location test is planned to run for four months, other places hosting the game will surely be discovered soon. The North American Wangan Midnight Maximum Tune community has just put online a Youtube channel dedicated to the game. Will we have the chance to see the game in Europe? The absence of large arcade chains on the old continent and the dumbed down version of Mario Kart Arcade GP DX to which we were entitled to let us fear that it won't be the case. But the situation can quickly evolve favorably... Fingers crossed! The November T-shirt at 1cc Shirt is dedicated to Technõs. 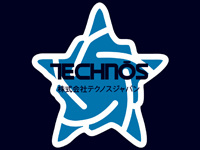 The Navy blue T-shirt has the TechnÅs Japan Corporation writing in Japanese within the blue star composing the Technõs logo printed on the front. Technõs was a video game development studio created in 1981 by three former employees of Data East. Their first game was Minky Monkey released in 1983. During their career, Technõs explored various genres in arcade games including wrestling (Exciting Hour, Big Pro Wrestling, WWF WrestleFest and WWF WrestleMania), adventure (Mysterious Stones), air combat (Acrobatic Dog-Fight) and platform (Bogey Manor). But they owe their popularity to their scrolling fighters with the Double Dragon series and other games in the genre: Nekketsu Kouha Kunio-Kun (Renegade), The Combatribes and Shadow Force. The character of Kunio-Kun (named in reference to Kunio Taki, the President of Technõs) appeared in many of their games (including Super Dodge Ball) and quickly became the mascot of the company. The last three arcade productions by Technõs were released in NEOGEO MVS cartridge format. These are Double Dragon; a fighting game inspired by the movie based on the original Double Dragon game (understood? ), Voltage Fighter Gowcaiser; a fighting game with scholars turning into superheroes whose characters are drawn by Masami ÅŒbari and a new version of Super Dodge Ball. The company closed down in 1996, shortly after the release of the latter title. The good news is that Arc System Works holds the intellectual property of Technõs since June 11th, 2015. Will we get a new Double Dragon game? Meanwhile, you can proudly wear the colors of Technõs Japan Corporation by ordering this T-shirt. You have until November 22, after that date, it will not be available anymore! 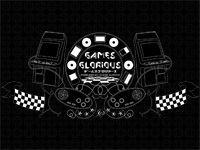 Game Glorious is a Japanese fashion company which manufactures T-shirts and accessories (shoes, bags) based on retro video games. All products are officially licensed. Since July 2015, foreign customers can order on the international website of Game Glorious. For now, the site offers mainly tribute T-shirts of games from the following licences: Konami (Castlevania, Ganbare Goemon), Sunsoft (Atlantis no nazo), Jaleco (Ninja JaJaMaRu), Taito (Chase H.Q., Elevator Action, Bubble Bobble, KiKiKaiKai) and Hudson (Star Soldier). An upcoming article will especially hold our attention: the Gradius pilot jacket. As part of the 30th anniversary celebration of the series, this jacket is available in 2 colours: a blue model that will be released in late November and a grey model that will be released in December. Released in 1983, Dragon's Lair had impressed everyone at the time with its splendid graphics. The good idea was to use a LaserDisc as storage medium to provide a true interactive cartoon. Obviously, it was also necessary that the quality of sequences was up to par and that was the case thanks to the talent of Don Bluth, who had previously worked on major productions such as Sleeping Beauty, Robin Hood, Pete's Dragon and The Secret of NIMH. 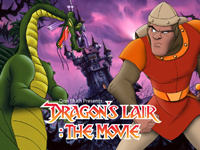 Despite its significant production cost ($1.3 million for the 22 minutes of animation that compose the game), Dragon's Lair was a huge success as it brought more than $32 million in revenue in the first eight months of operation. The work began on a follow-up but the collapse of the North American video game market caused the bankruptcy of the animation studio and the sequel would finally be released in 1991. Already at that time, a feature film project was being considered. A script exists since 2003, it's an humorous prequel to the game, telling the life of Dirk from his birth until the time he becomes a knight. Some story boards have been made to sell the idea to production houses, many of them were interested but wanted to make a sequel in computer graphics while Don Bluth absolutely wanted to use traditional cell-based animation. On October 26th, Don Bluth and Gary Goldman launched a Kickstarter campaign to fund the production of a short presentation film that would allow them to convince producers and investors. The goal is to find the right people whom would let them retain full control over their work. The amount to reach is $550,000 by November 26th. The rewards for donors include caps, T-shirts, lanyards, story boards, posters, artbooks, statuettes, drawing classes, etc... We are excited at the prospect of watching Dirk the Daring on the big screen! Donations start at $10, what are you waiting for? Skullgirls Encore was announced on May 2013. Since this time, many location tests were held, the game was released on PC and consoles but the arcade version was still in development. 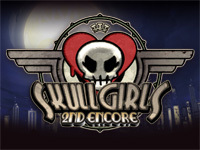 Since yesterday, japanese players can enjoy the latest version of the game named Skullgirls 2nd Encore for NESiCAxLive. As its title implies, this game is available on Taito's distribution platform. This 2D fighting game is developped by Lab Zero Games (a Californian company). The game is in high-res, it features 6 buttons (3 punchs and 3 kicks) and a Tag Battle system. The music is composed by Michiru Yamana (Castlevania: Symphony of the Night) and the game takes place in a "Dark Deco" universe (a mix of gothic and '20s style). There are 14 characters to choose from including the additionnal crowdfunded characters: Fukua, Big Band, Eliza, Beowulf and Robo-Fortune. Skullgirls 2nd Encore for NESiCAxLive is compatible with the NESiCA card and players have access to the following data: title, victory ranking, monthly victory ranking, characters use rate ranking and monthly characters use rate ranking. 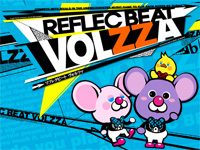 reflec BEAT VOLZZA was released in Japan yesterday. 60 new songs are available in this version. Konami adds a new "Slide Object" feature: the player must press and hold the object and slide his finger on it. Thanks to the new grade matching system, it's easier for players to find other players of the same level to play together. Bandai Namco has unveiled the contents of the big update of Mobile Suit Gundam Extreme VS. Maxi Boost. 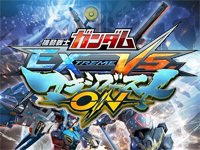 First of all the name changes, the game is now called Mobile Suit Gundam Extreme VS. Maxi Boost ON. The release is scheduled for 2016. Many new features are planned but the main feature is online play! New mechas will be added. The first two have already been announced: the YG-111 Gundam G-Self piloted by Bellri Zenam and coming from the Gundam Reconguista in G anime series which aired from October 2014 to March 2015 and the ASW-G-08 Gundam Barbatos piloted by Mikazuki Randy and coming from the Mobile Suit Gundam IRON-BLOODED ORPHANS anime series which broadcasting started in October 2015. The EX Burst system has been revised with the addition of 3 functions for new strategies: Fighting burst (increases melee attack), Extend burst (avoids critical situations) and Shooting burst (cancels ranged attacks). The courses and the VS. Conquest have been renewed: a new course, the capital Territory of Gundam Reconguista in G, new BGM and a new final boss. Mobile Suit Gundam Extreme VS. Maxi Boost ON will be on location test at Round 1 Yokohama, Tokyo Gulliver and Namco Nihonbashi Osaka from October 31 to November 1. 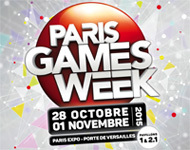 The Paris Games Week will be held at Paris Expo (Porte de Versailles) from October 28th to November 1st. The show opens from 9am to 7pm (except on Sunday where the closure is at 6 pm). This 6th edition will bring together video game fans around many activities dedicated to their passion. They will discover the latest games, 2016 previews and new accessories thanks to manufacturers (Xbox, Nintendo, PlayStation), publishers and developers (Activision, Namco Bandai, Ubisoft...), accessories makers (Big Ben...) and partners (Jeuxvideo.com, Game One...) present at the show. Among the proposed activities are E-sports with the ESWC, the video game World Cup and the ESL Arena where the Tekken 7 World Arcade Championship EU Qualifiers will be played. There is also Paris Games Week Junior totally dedicated to younger players, a space dedicated to games Made in France, an area about jobs in the video game industry to learn about schools and training, the video game library to meet authors, cosplay and an art gallery. A retrogaming zone hosted by the MO5.COM association and Coin-Op Legacy will also be there with console and computer games but also 8 original arcade machines: Pac-Man (1980), Defender (1981), After Burner II (1987), Pang (1989), Point Blank (1994), Super Street Fighter II X: Grand Master Challenge (1994), Super Dodge Ball (1996), Tetris: The Absolute - The Grand Master 2 (2000), as well as Mushihime-sama (2004). A one day ticket costs €16 and €11 for the younger ones (7-18 years). Drivers rejoice! Initial D Arcade Stage 8 Infinity and Wangan Midnight Maximum Tune 3 DX Plus were spotted in the basement of Las Vegas amusement arcade in London (on Wardour Street). But these are not the only new games in the place, you will also find among others Taiko no Tatsujin 13 and Pump It Up Prime!! So we finally the chance to play Initial D Arcade Stage 8 Infinity in Europe! Let's get back on its history and why we had little chance to see it land here... The first Initial D 8 location tests took place in January 2014, but already at that time, Patrick Michael, heading the R&D department of Sega Amusements Europe has announced in an interview to Eurogamer that "Initial D games are fantastic but they are not made for the Western market, because the vast majority of local players are casual players who do not like to lose and inevitably, it happens often in a 1 on 1 racing game". This is when we realized that the game would never be released there. It must be said that the latest installment to have been officially released in Europe was Initial D 4... Initial D 8 was released in Japan in July 2014. Then it started to appear in the rest of Asia in September 2014. Despite the launch of an English version of the website, this "export" version of the game is in Japanese language (as it was already the case for export versions of Initial D 5, 6 and 7). In April 2013 (at the time of Initial D Arcade Stage 7 AA X), we proposed to Kenji Arai, the producer of the series, to translate the game into English for Sega. He politely declined, indicating that the sales policy for Europe was not established but that if Sega decided to focus in the future on the European market, he would reconsider the offer. Alas, the recent restructuring at Sega is not going in that direction, favouring the creation of games specifically made for the western market (simpler titles suitable to casual players). The only solution was to import the game to allow the many European fans to enjoy the game. Unfortunately, the game is in Japanese but the save card system works. 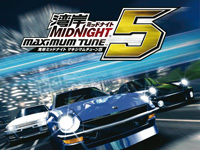 The other good surprise is obviously Wangan Midnight Maximum Tune 3 DX Plus! Unlike Initial D, this game is in English. The "Plus" version released in March 2010 added two new cars: the Nissan GT-R (R35) and Skyline GT-R (KPGC10), the Fukuoka Expressway road section, new tuning elements (stickers, neon tube lights and rims) and new music by Yuzo Koshiro! Currently, there are only two Wangan Midnight cabinets but two other machines should arrive next week for 4-player races. Moreover, monthly tournaments are planned! Racers paradise is therefore situated in the basement of Las Vegas arcade in Soho, London! Let's go there and start racing!!! 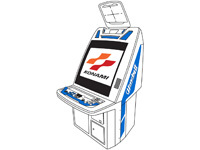 Konami Windy II is an arcade cabinet released in 1997. It was the first cabinet to be equipped with both the new JVS harness and a 29" Tri-sync Toshiba screen capable of displaying a VGA signal. Of course, the JVS standard was not yet widely used, so a JAMMA to JVS converter board was included, allowing the usage of the majority of the games available at that time. The Windy II proposed sockets for connecting several cabinets as a standard. With such great features, no doubt it quickly gained in popularity. We talk about it today because 1cc Shirts releases a T-shirt bearing its image. The Gildan brand white pre-shrunk 100% cotton T-shirt features an illustration of the popular machine on the front. The screen displays the Konami logo of the time. Like all 1cc Shirt models, this T-shirt will be produced in limited edition and will not be reissued. You have until Sunday October 25th at midnight EST (6am CET) to order your T-shirt. The price is $33 shipped outside America ($25 within the USA).